For 30 years Sarasota Youth Opera (SYO) has given young people an opportunity to experience opera first hand through participation in after-school choruses, main stage productions, summer workshops, and fully-staged youth productions. As the only program in the U.S. committed to presenting annual full-scale opera productions for young voices, accepting all who wish to participate regardless of skill level or ability to pay, SYO is a model for opera education. 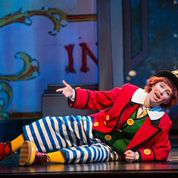 Part of Sarasota Opera’s commitment to Youth Opera includes the commissioning of new operas for children and young adults. Five new works have been commissioned as part of this mission: Deadline (1989), Her Lightness (1993), Eye of Ra (1998), The Language of Birds (2004), and Little Nemo in Slumberland (2012). Our most recent commission, Little Nemo, featured 106 young people from throughout the community and used a ground-breaking projection technology called SCRIBE to bring Winsor McCay’s comic strips to life. Since 1984 twenty-one additional operas have been produced including The Black Spider (1999, 2010), The Second Hurricane (2001, 2006), The Little Sweep (2005, 2013), and The Hobbit (2008, 2014). 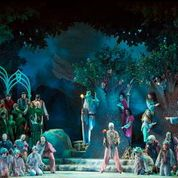 Members perform in each opera with professionals overseeing staging, costumes, lighting, and performing in the orchestra. The opportunities to explore opera expanded in 1992 when Sarasota Youth Opera began offering summer workshops for young people. With an original enrollment of 24, the number of campers each summer has grown to over 70. Under the direction of Sarasota Opera’s professional staff, campers experience the magic on the stage and behind the scenes as they study the many facets of opera, from music and acting to opera appreciation and production. As Sarasota Youth Opera enters its 30th season, we look forward to introducing the next generation of opera lovers, patrons, and performers to the magical world of opera. Blog contributed by: Ben Plocher, Manager of Educational Activities, Sarasota Opera. For more information contact Ben at (941) 366-8450 ext. 249 or by email.